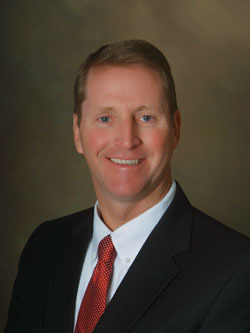 Gary Williams joined the Crossett School District in July of 2015. He comes to the district from the East Poinsett County School District where he worked for the past 12 years. During his time there, Mr. Williams has been a teacher, coach, principal, and superintendent. Accompanying him on his move to Crossett are his wife and two school-aged sons. They have a daughter who attends Harding University. Mr. Williams represents the traditional values of the Crossett School District and intends to guide our district to a new tradition of excellence. He brings a positive attitude, a willingness to listen, and an eagerness to work with our faculty and staff to ensure the success of our students. We welcome Mr. Williams and look forward to many successful years under his leadership.